← Smithsonian Day at River of Time Museum: Free Admission! The Mayo Clinic’s Scottsdale Research Facility is revered by local residents and international visitors alike. 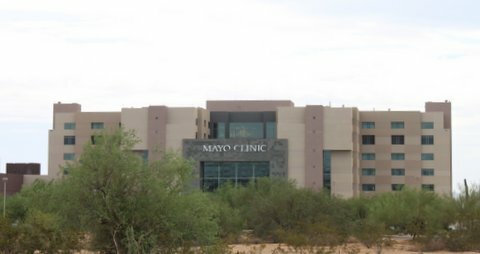 Mayo Clinic Scottsdale, located within 5 miles of Fountain Hills, is recognized by eight of the most well-known national assessment organizations, more than any other major U.S. hospital or clinic. Known for its team approach to treatment (all Doctors from all necessary specialties working as an integrated treatment team), the clinic is a favorite of area residents. Scottsdale Healthcare, with its Hospital, Virginia Piper Cancer Treatment Center and Medical Specialty Plaza is a short 15-minute drive from Fountain Hills. The Greater Phoenix area boasts hundreds of hospital and specialty treatment facilities and thousands of specialists. But the very best care just might be found in the center of Fountain Hills. Our local medical center includes one of Arizona’s “10 Top Docs,” a physical therapy center, two labs and imaging center. Chiropractic, Naturopathic, Acupuncture and mental health facilities are within 10 minutes of any home in Fountain Hills as well. Local yoga and health clubs are abound, many with 24 hour access, and the “Silver Sneakers” gym is a popular spot to catch up on the local news. 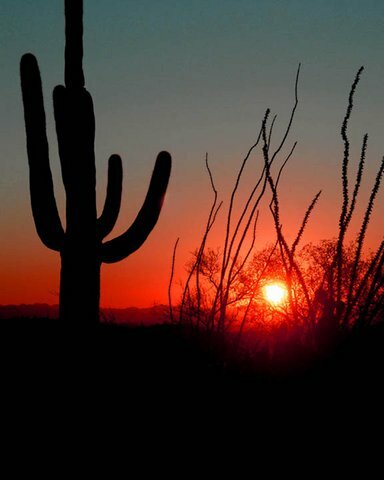 The Sonoran Desert offers a healthy, dry Southwest climate-mosquito free! #5. Warm Climate The greater Phoenix area is the #1 “sunniest place in the United States.” Fountain Hills, in the McDowell Mountain foothills on the edge of the “Valley of the Sun” offers the best quality of life in the high Sonoran desert. Surrounded by breathtaking 100 mile views, this area maintains the famous “warm in the daytime, cool in the evenings” character that the desert climate is known for. While we often joke “that it’s a dry heat,” the dry air means we have very few bugs, almost no mosquitos, gnats, or pesky things that bite and sting, making year-round outdoor recreation a true joy. Many homes in Fountain Hills have “outdoor” living rooms and kitchens, with no need for screens between you and the mountain paradise that surrounds us. 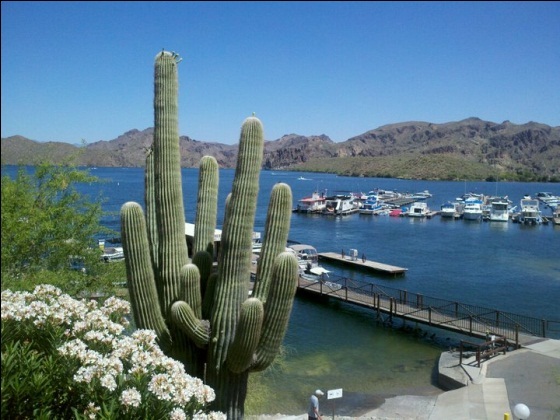 Saguaro Lake, only 20 minutes from Fountain Hills, offers full marina services. Arizonan’s like their boats! Although the oft-repeated claim that we have “more boats per capita than any other state” is a myth, we desert dwellers do like our boats. Why? Because the area is surrounded by a fabulous system of lakes forming our hydro-electric system. These lakes are easily accessible, with professional ramps and marinas, are glassy smooth for riding or water-skiing, with beaches and pathways that are a fisherman’s delight (trout, Largemouth Bass, Smallmouth Bass, Yellow Bass, Crappie, Sunfish, Bluegill, Channel Catfish and Walleye.) Saguaro Lake is 25 scenic miles north of Fountain Hills, and is a popular haven for boating, fishing, hiking, camping, swimming, or just a quick jaunt for lakeside dining at the popular Marina Café. Dozens of groomed picnic ramadas make this spot a favorite place to toast the sunset. The Desert Belle, a classic paddle-wheeled party boat is a great way to introduce visitors to the desert as mountain sheep, eagles, a variety of wild cats, and of course, the ever-present javelina and coyotes are often spotted during the educational and relaxing cruise. This entry was posted in Bobcats & Lizards & Quail-Oh My, Businesses We Love, Mountain Trails, Scenery & Life, Uncategorized and tagged Mayo Clinic, Saguaro Lake, Sonoran Desert. Bookmark the permalink.